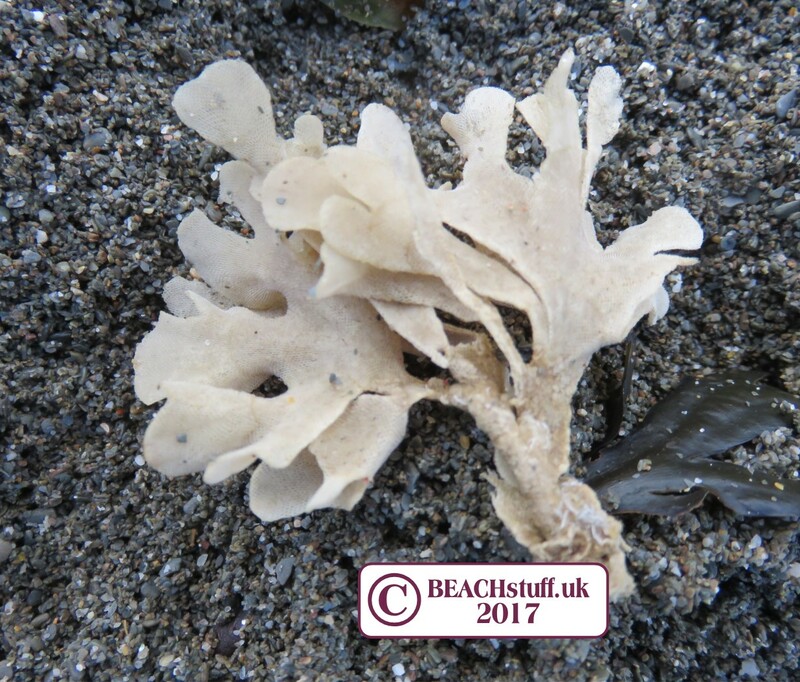 There are getting on for 700 species of seaweed and, theoretically, a piece of just about any of them could land on our beaches. Below, I have picked out some of the more common ones that I find beached. 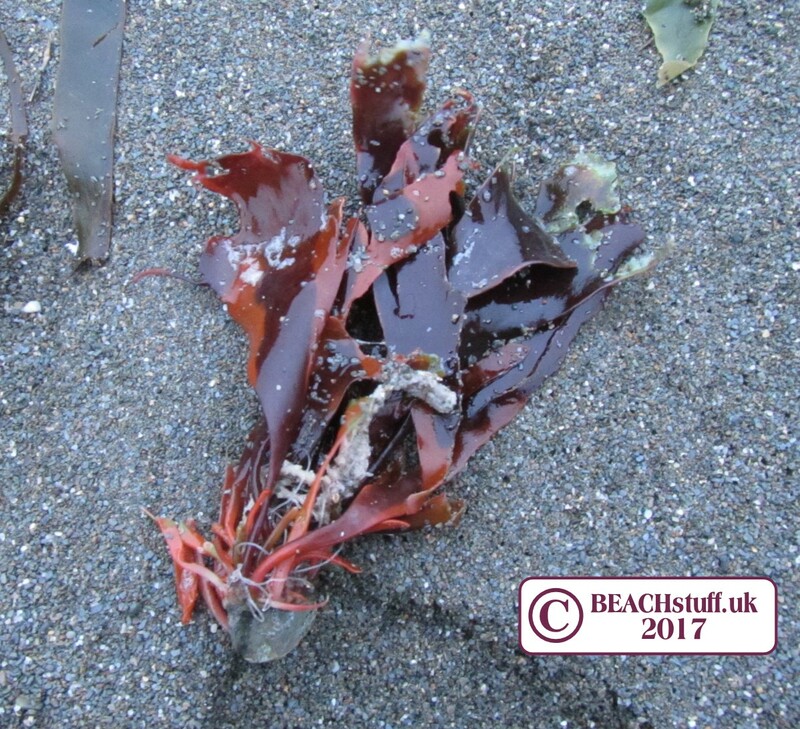 Be warned, seaweed identification is tricky - you can't really rely on colour (as many seaweeds can be various shades of black, brown, green, yellowish...) or size. And they may well be washed up with bits and pieces vital for identification missing. 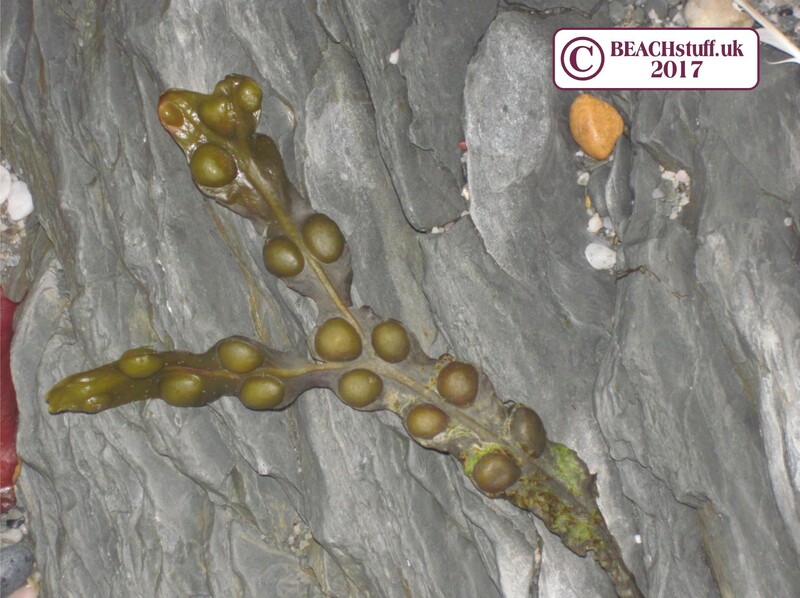 You might also like to get involved in the Big Seaweed Search to monitor our seaweeds. More details from the Marine Conservation Society website. When growing out at sea, most seaweeds will attach themselves to rocks to keep them safely in one place. 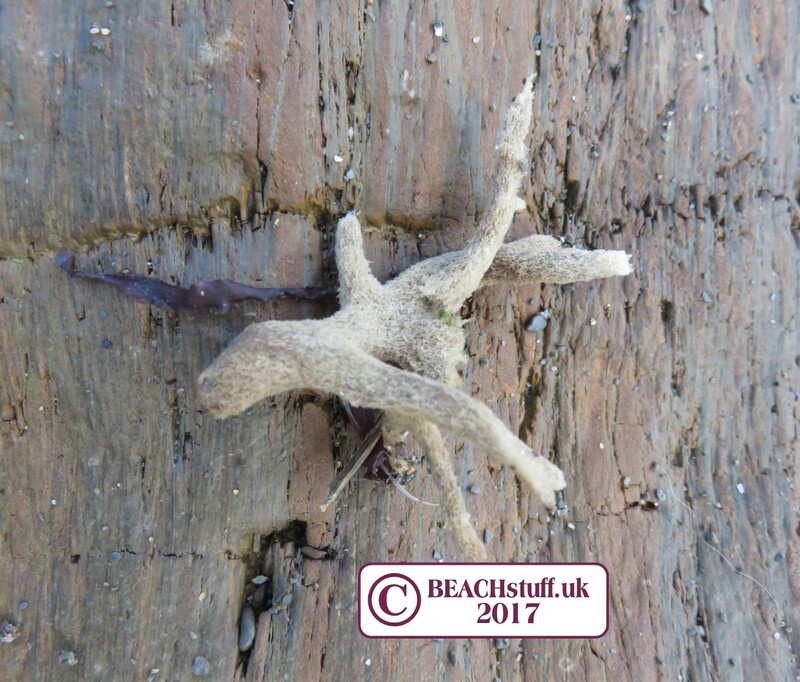 However, storms can mean that pieces of seaweed are broken off and this is often what we then find washed up. Occasionally, we can find them with their 'anchor' still attached. 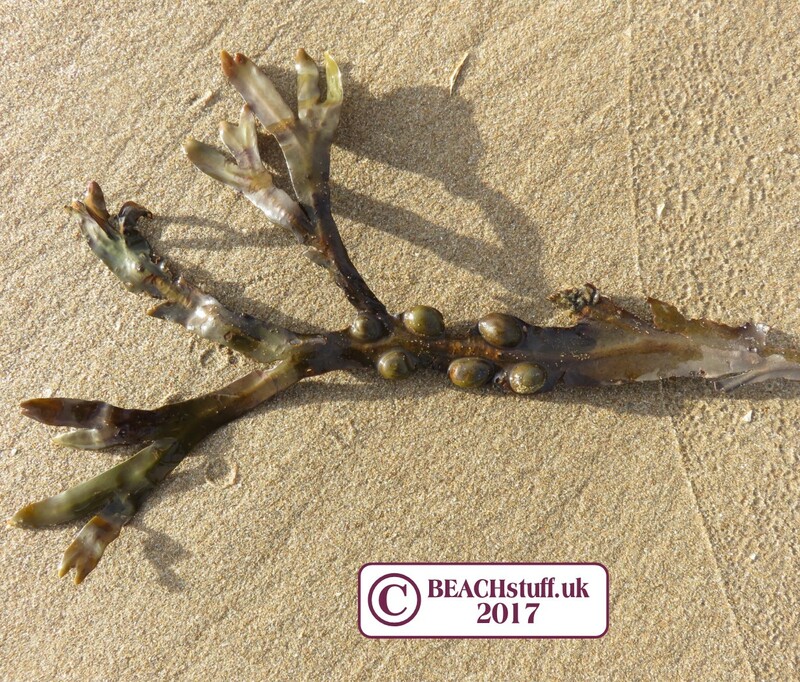 The round squashy things in wrack seaweeds are air pockets which help the seaweed to float up in the sea to reach sunlight. 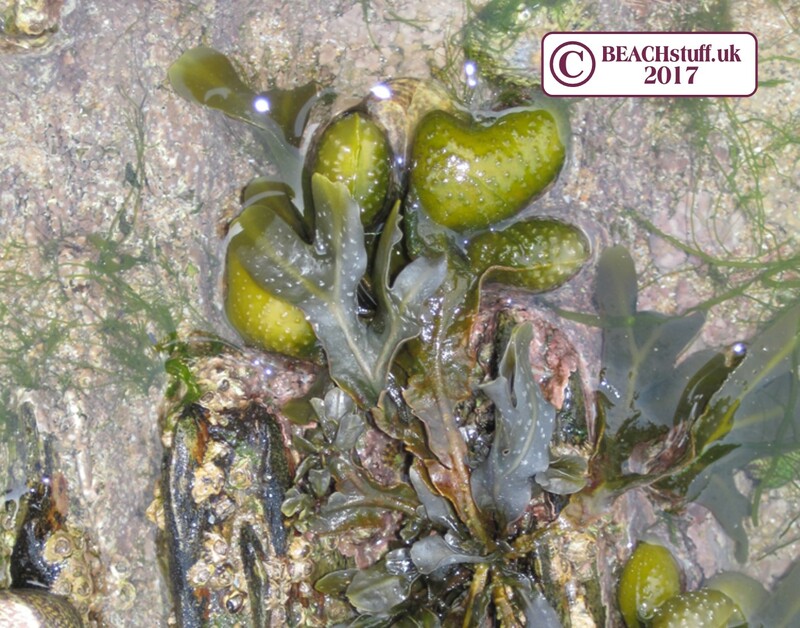 On bladder wrack, the air pockets tend to be tightly packed. 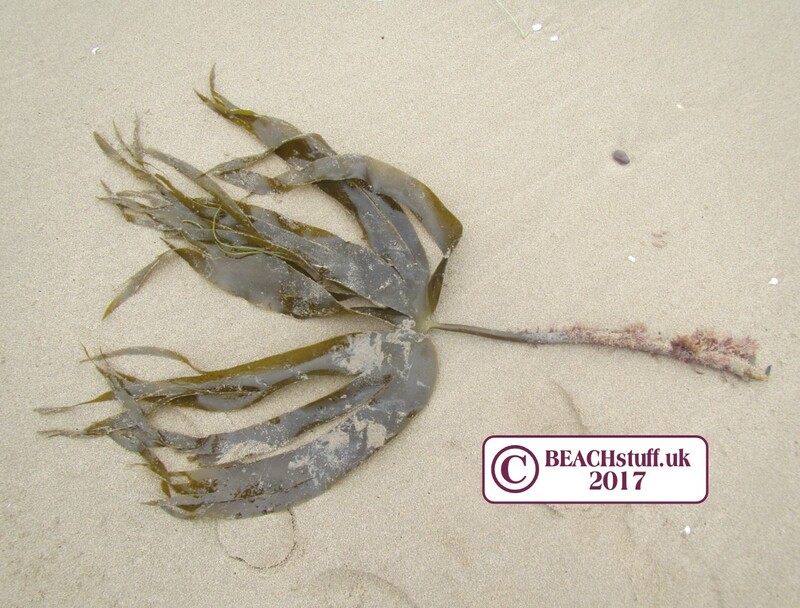 This shows how the tips of the seaweed can be longer and split. Which can sometimes lead to it being mixed up with serrated wracks. 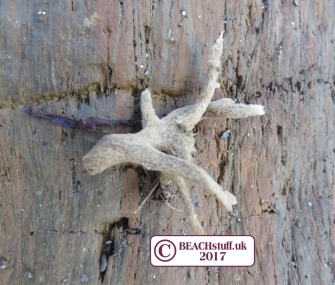 The air pockets in knotted wrack can be really quite large. 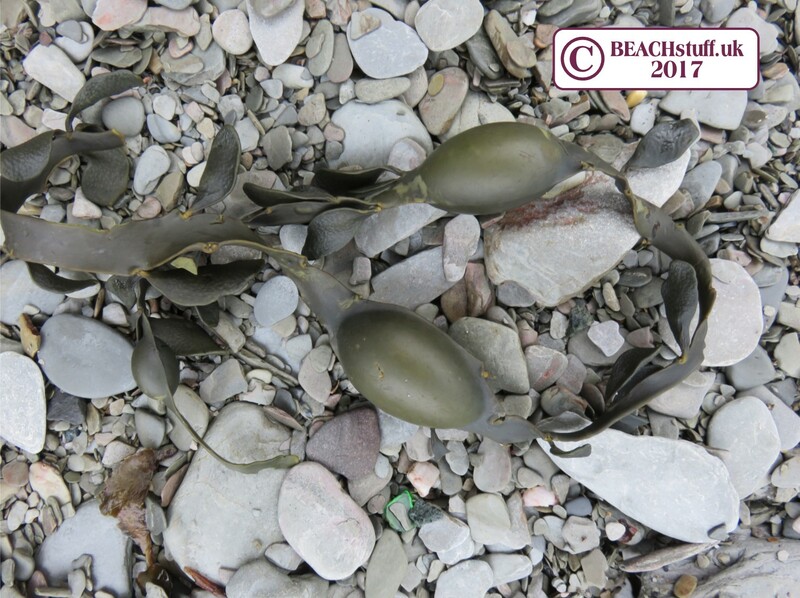 Ones 8 to 10 centimetres long are not uncommon washed up on our beaches. This has particularly soft and squishy air pockets that often form a heart shape. The leaves tend to twist and spiral rather than lie flat. Serrated wrack has nice flat fronds that lie down flat and jagged, toothed edges. 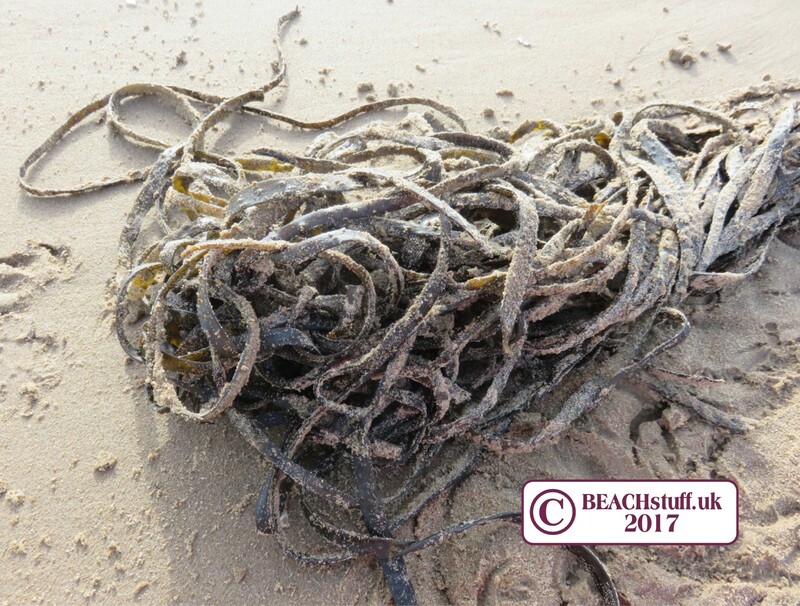 This is a type of seaweed called 'kelp'. It can grow pretty large and colonies of oarweed can cover pretty large areas under the sea. 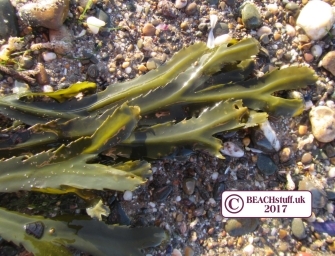 Another type of kelp. This one has a single frilly 'leaf' but can also grow very large. A bit of a floppy, unstructured seaweed. Good job it's red or it would be impossible to identify. Well, I think that speaks for itself. This is actually a green seweed but, by the time we find it on the beach, it will have turned white-ish. It is soft to the touch, like velvet, often looking altogether more like tiny stag antlers than a seaweed. What they've done here is take something that looks very like it could be a seaweed and called it a wrack, the name of a seaweed. 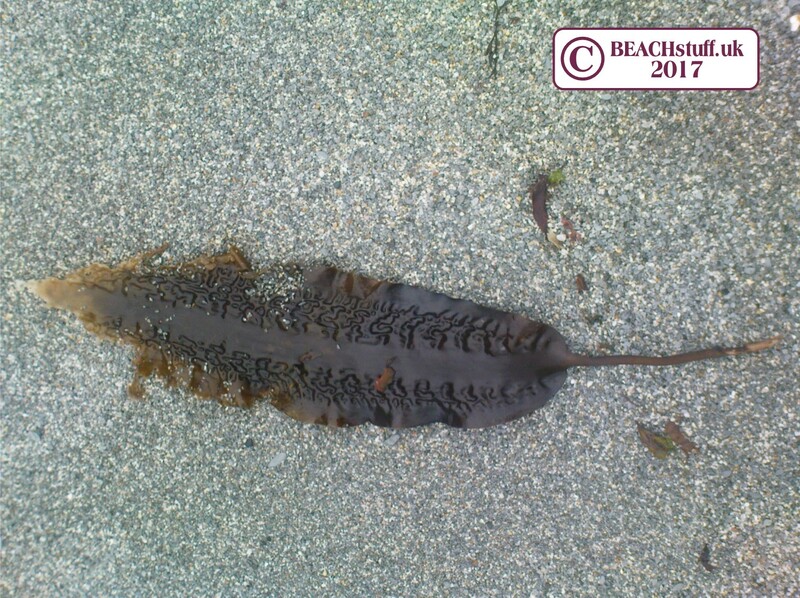 More fool you if you think it actually is a seaweed though!